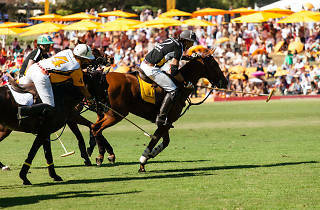 Put on your wide-brimmed hats and Sunday best for this annual polo match led by Argentine polo star Nacho Figueras. Sip on some bubbly at the celeb-filled soirée, which counts Gwyneth Paltrow, Lea Michele, Isla Fisher, Mandy Moore and others among its attendees. Arrive early to avoid the lines for the shuttles, which transport you from the parking lots at nearby schools to the Will Rogers State Historic Park, and at the Champagne bars and food trucks, which open at 11am. 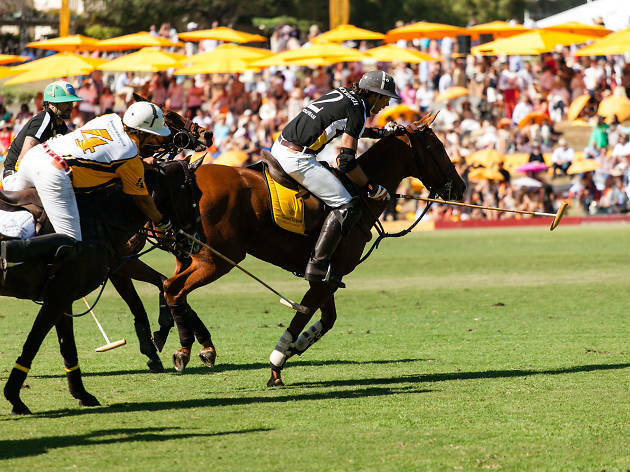 Once you've fueled up, head to the field to cheer on the teams in the 2pm game.